Each color in the chart corresponds with the category colors in the spending wheel. 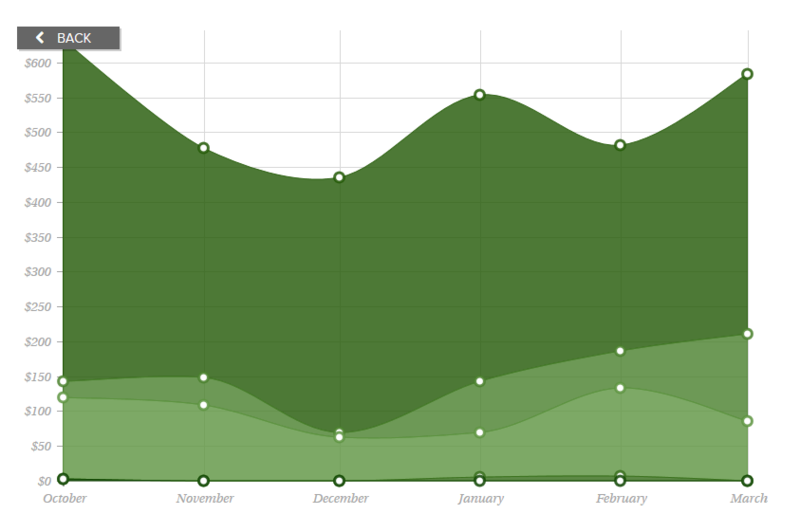 Hover over a color to see the exact amounts spent month to month. Click a circle to view transactions for that month. 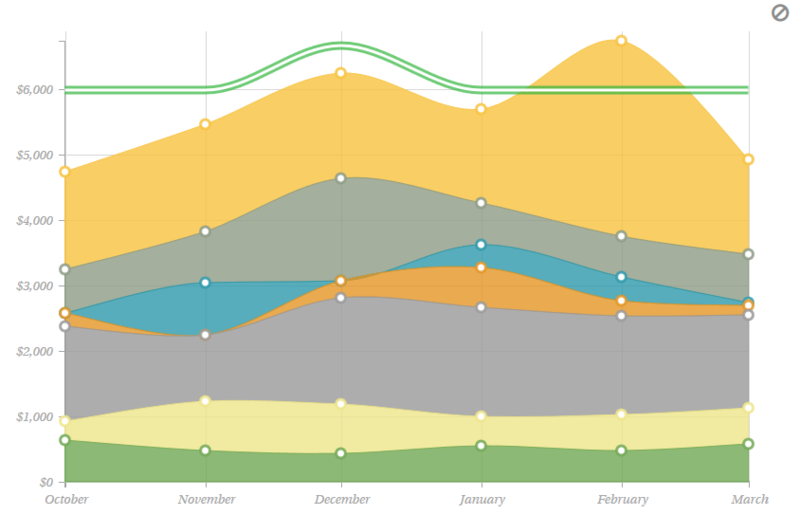 Click a color to see subcategory spending. Here you can see subcategory spending.